Welcome to my February blog. It’s incredible to think that we are already 2 months into 2019 – time really does fly by so quickly. February has been yet another busy month for my teams at Beeston and Eastwood and one which hasn’t been without its share of drama and success. I reported in my blog last month that we had seen a significant increase in burglaries, both sheds and peoples’ homes in Stapleford. I’m very pleased to be able to tell you that Stapleford is showing a very marked reduction acquisitive crime – burglary, auto-crime, shop theft, other theft are all down significantly on the numbers recorded in January. My neighbourhoods teams have been very active in the past month in addressing the recent spike with proactive patrols, both high visibility and out of uniform, a lot of crime prevention engagement and the arrest of one or two, what we considered to be key nominals who were contributing to the upsurge in acquisitive crime and their activity has brought about a positive dividend. Arrests of note occurred in the Nuthall area last Thursday (21st February), when 3 offenders were disturbed in the process of breaking into properties on Phillip Avenue. A super piece of teamwork between my neighbourhood and response teams, supported by colleagues from our Operational Support Division saw the 3 arrested whilst trying to escape across open fields. All 3 are now on conditional bail, pending forensic results. In terms of our other priority areas, we continue to target a number of prolific shoplifters, on both sides of the borough, with a number having been arrested and put before the courts this past month. Most notable of these was Richard BROWN, of Chilwell, who was sentenced to 4 months imprisonment for a number of offences, having only been released from prison a couple of weeks previously. Alongside BROWN, 2 of our most prolific offenders on the North of the borough, Lewis LAYLAND and James PEARSON were convicted at court of a number of theft offences in February. Incidentally, I have been asked why we view shop theft as a priority on Broxtowe – my answer is simple; A significant number of shoplifters are also burglars and auto-crime offenders, but these offences are often harder to prove, as they are not very often witnessed or caught on CCTV, as shop thefts very often are. Where we can identify, arrest and lock up prolific offenders for shop theft, they are unable to commit other types of crime elsewhere on the borough and as such, they will be targeted in this way. We also had a good arrest in February of an offender caught breaking into a works van in the Awsworth area. He has been linked to another local male, who we believe was present and we are actively pursuing lines of enquiry regarding vehicle thefts potentially involving these two males. However, carrying on from my view above about auto-crime being rarely witnessed, we would love to hear from anyone who may have any information at all as to who is involved in auto-crime on the borough. Whilst we are seeing a reduction in auto-crime in the year to year figures, there is still too high a number of vehicles attacked and /or stolen and we would appreciate the support of our communities in tackling the problem. The inconvenience of auto-crime, be it the theft of the vehicle itself, or tools from within for instance is not lost on me and I appreciate how peoples’ livelihoods are adversely affected by this type of crime. It’s with regret that I tell you that Pc Joanna Sakkal-Appleby has recently moved from the Broxtowe North NPT. However, Jo will not be lost to us, as she has moved onto the response team at Beeston. Unfortunately, due to the recent shift pattern changes for NPT officers, for personal reasons, it wasn’t possible for Jo to continue working that pattern. So in saying ‘goodbye,’ I also say ‘welcome!’ Jo will be a great asset to Rota 4 at Beeston, but her contribution to the community on Broxtowe North during her tenure as a beat manager has not gone unnoticed and I would like to thank her for her dedication there. Taking Jo’s place is PC Dave Ward. Dave has made the opposite journey to Jo and moves to the NPT at Eastwood from Beeston Response. 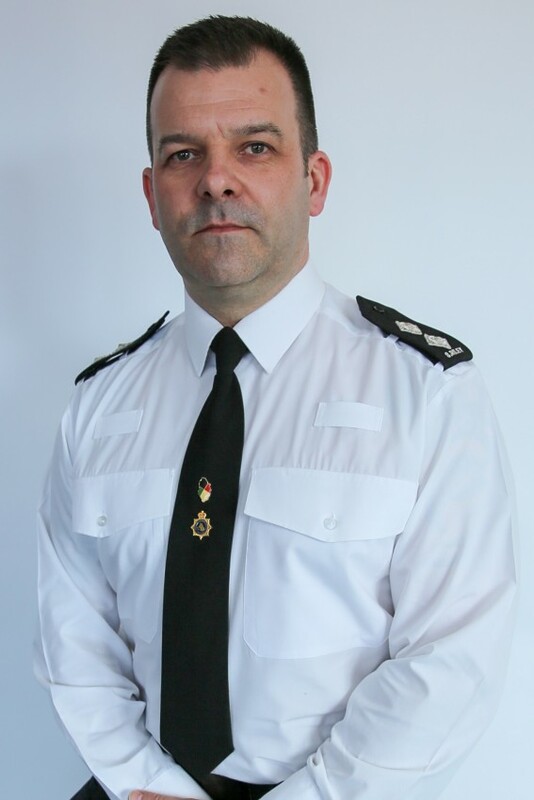 Dave is a keen and very experienced officer and I am absolutely positive he will continue where Jo left off and will very quickly become known and respected amongst the communities on Broxtowe North. For me, it’s fantastic to be able to keep such significant local knowledge on the patch and I wish them both all the very best in their new roles. In addition to these moves, it was confirmed by Chief Constable Craig Guildford this week that every Inspector-led Neighbourhood Policing area will be getting an additional 3 beat managers during 2019/20. This is hugely welcome news, as I’m sure you’ll agree and I look forward to welcoming the new additions when they arrive. Agile Technology for our PCSOs! During the past year, all frontline, uniformed police officers on Broxtowe have been issued with personal-issue laptops to enable them to be out in the community for longer, saving them the need to come back to the station to submit essential reports and driving a number of efficiencies around how we deploy our officers. I am pleased to tell you that I have also secured 4 additional devices which are currently being trialled by some of my PCSOs – 2 on Broxtowe North and 2 on the South of the borough. Longer term, the personal issue of agile technology to PCSOs is just one area of a review currently being undertaken by the force into the PCSO role, however, it’s hugely beneficial to be a part of this trial and again, should increase the amount of time our PCSOs are able to stay out on their areas during each tour of duty. PCSO Luci Allsebrook has been working on promoting Neighbourhood Watch in Stapleford, including a social media campaign to try and reach more residents. She has had a very positive response and she is currently collating the information with the intention of setting up initial meetings in the near future. Neighbourhood Watch is a great way of the Police working with the local community to keep people safe and reduce and we would like to set up a number of new NHW schemes throughout the area. If you would be interested in helping with this then please get in touch. Finally, a superb event was recently held at the Chinese Language School, at Alderman White School in Chilwell. My thanks go to Sp. Insp Gurmit Kaur (our Community Cohesion Co-ordinator), PC Serita Blake (Beeston Response), Pc Michael Appleton (City Response) and PCSO Roz Hare (Beeston NPT) for their involvement in this. These events are always a welcome opportunity for us as a local policing team to get involved with our various, diverse communities and for them to get to know us and what we are about. This Sunday (March 3rd) sees an open day at Beeston Muslim Centre on Evelyn Street, which my team and I will be attending. If any community leaders have any event(s) that they would like us to attend, then please contact me or either of my Sergeants and we will always try and support them where we can.